Below I have posted the Annual KidsOut Newsletter. The document contains great information about KidsOut. Enjoy your read. If you have anything you want to share regarding the work of your Clubs in promoting Youth activities then just let me know and I will happily find space on the web page to publicise what you are doing. The more we can share our news then the more likely we are to encourage others to join and get involved. RotaKids is a bundle of fun for 7 to 12 years olds with energy, enthusiasm and great ideas for making a difference. RotaKids are based in primary and junior schools and work with local Rotary clubs to come up with projects which could be anything from fundraisers to sponsored events, all you need is some imagination. 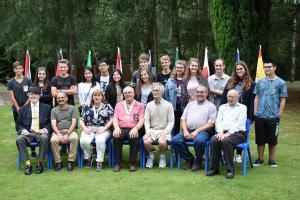 Interact is the part of Rotary for teenagers up to 18 years old. Do you enjoy leading a team; Making decisions; Working to tight deadlines? Have people told you that you are a good leader or have leadership potential? Then why not apply to go on a Rotary Youth Leadership Course and develop your skills even further under expert guidance. Do you enjoy cooking as a hobby? Perhaps you wish to pursue catering as a career. The 2020 District 1285 Youth Speaks competition details are now available. There will be 9 heats around the District leading to the District Final on 1st March 2020. The next Summer Camp will take place in July 2019. 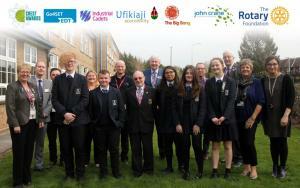 The Regional Final was held on Sunday 25th March at Darwen Vale High School. Full programme detailing all entrants together with their respective programmes are posted below. Also results !!! This years RYLA course at Petty Pool will take place from 28th July - 1st August. There has been increasing interest in this Competition across the District and it is open to a wide age range. Why not have a go !!!. Rotaract is alive and thriving in District 1285. Rotary celebrates the achievements of young people with the annual Rotary Young Citizen Awards. The closing date for the 2019 award is almost here !!! Make sure you get your application in and do not miss the deadline. Read more below. Details from RIBI for the 2018/19 Young Writer Competition are awaited. A revised update with information you need regarding Interact.